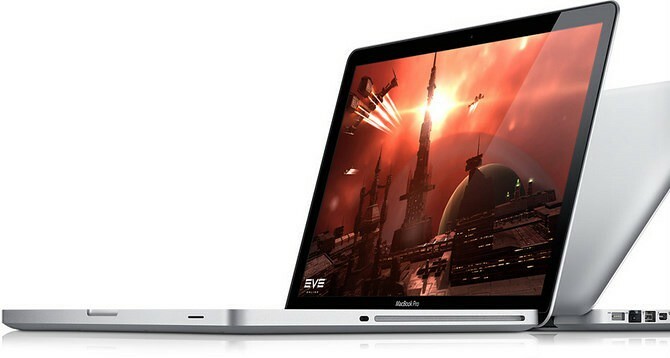 When this February Apple rolled out the new MacBook Pro family with Sandy Bridge chips and Thuderbolt I/O, the company surprised many with a SATA3 interface for the hard drive and disappointed at the same time by leaving the Superdrive in SATA2. SATA3 allows for theoretical data transfer speeds of 600 megabytes per second versus 300 megabytes per second for SATA2. Real-life numbers, as always, are lower and dependant on a number of factors, such as the speed of both your processor and the peripheral attached to the SATA interface. Initially, all 2011 MacBook Pros shipped with the SATA2 in the optical drive bay and the SATA3 in the main bay. Other World Computing observed on its blog last week that “units we’ve purchased over the past month indicate that Apple seems to be changing over to having 6Gb/s connectivity in both the main drive bay and in the optical bay”. 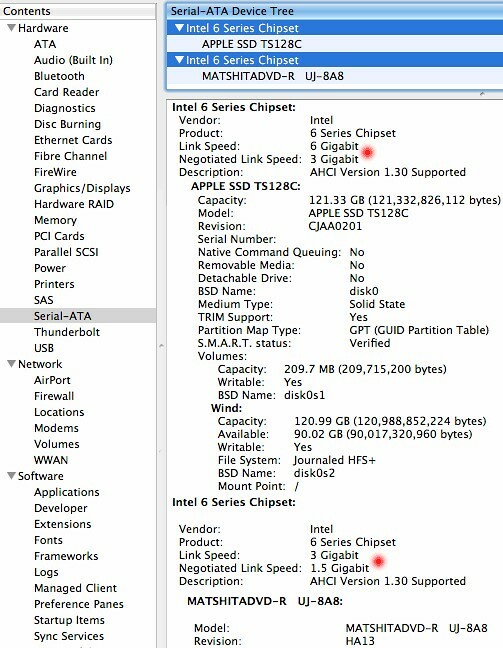 Users on the Hardmac forum spotted the change as well and sites like Mac Performance Guide reported about Apple slipstreaming SATA3 6Gb/s ports across the entire MacBook Pro family. Note also that a new 2011 MacBook Pro OWC received this week “was back to 6Gb/s in the main bay and 3Gb/s in the optical”. It’s probably an isolated incident because the vast majority of web reports suggest a production change across all three MacBook Pro models (13/15/17″) enabling dual SATA3 connectivity. To see whether your MacBook Pro supports SATA3 in the optical bay, examine the Serial-ATA entry under the Hardware tab of the Apple System Profiler app on your Mac. If the Link Speed on both bays reads 6 Gigabit, you’re in luck (see below).